2019 Features 4 Exciting New Themes! We are excited to be offering 4 weeks of camps this year at each of our North and South Locations! Featuring different themes, this will be an unforgettable summer! Reptiles have become incredibly popular as pets. Like all living creatures they have special needs and require a commitment! This week will focus on what reptiles need to be cared for as pets, how long they live, and the importance of responsible pet ownership. We’ll meet some of the best reptile pets like geckos and dragons, and some that are definitely for those with experience. The perfect primer to having a reptile of your own! We know all about endangered species like pandas and gorillas. Our cold-blooded friends don’t get the same exposure and support! 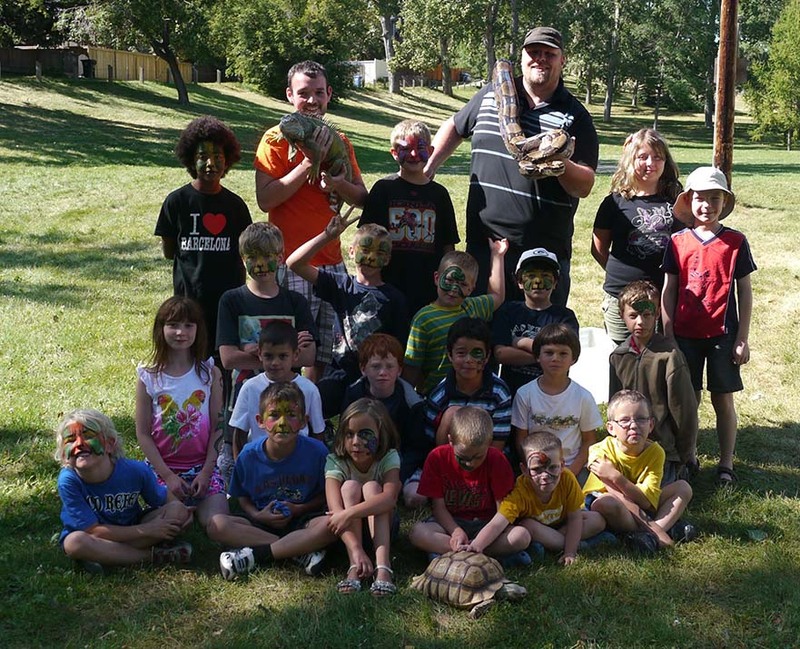 This week will introduce campers to the importance of amphibians, reptiles and arachnids to the ecosystem. We will meet and learn about native species like the western hognose snake, invasive species like iguanas and toads, endangered reptiles like fiji banded iguanas and crocodile lizards, and much more! Reptiles & Amphibians are some of the most colourful creatures on earth. Campers will discover how these animals use colours to thrive in their environments. How do reptiles camouflage? Why do some have bright colours? Why and how do chameleons change colours? 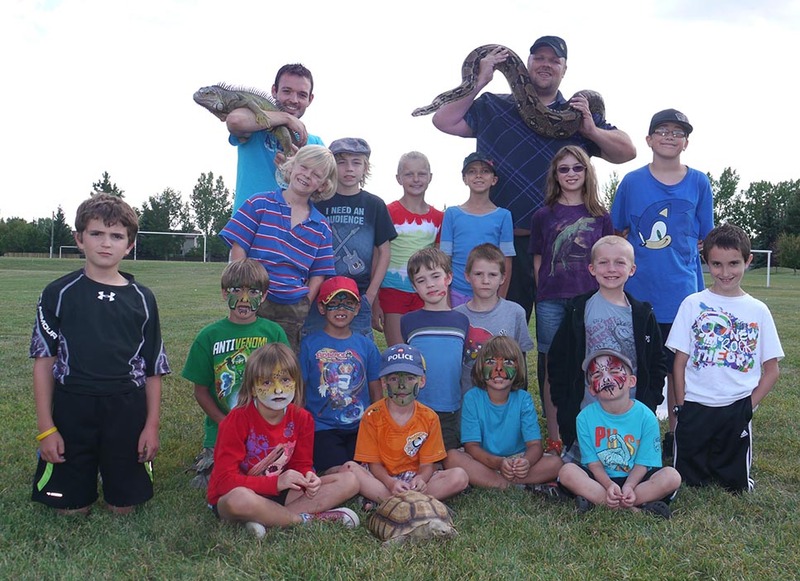 What is a “morph?” Campers will learn all about the bright and beautiful world of reptiles and amphibians with this colourful week long experience. Meet Emerald Tree Boas, Albino Ball Pythons, Red Footed Tortoises and more! Reptiles and amphibians have some of the most diverse diets in the animal kingdom. Why is “just lettuce” not enough for herbivores? Why do some tortoises need grass and hay? Do all snakes only eat mice? Meet a frog big enough to eat a mouse, geckos that can have a bug free diet, and find out why tegus are often called “the garbage can of the rainforest.” Dine in at our reptile restaurant!